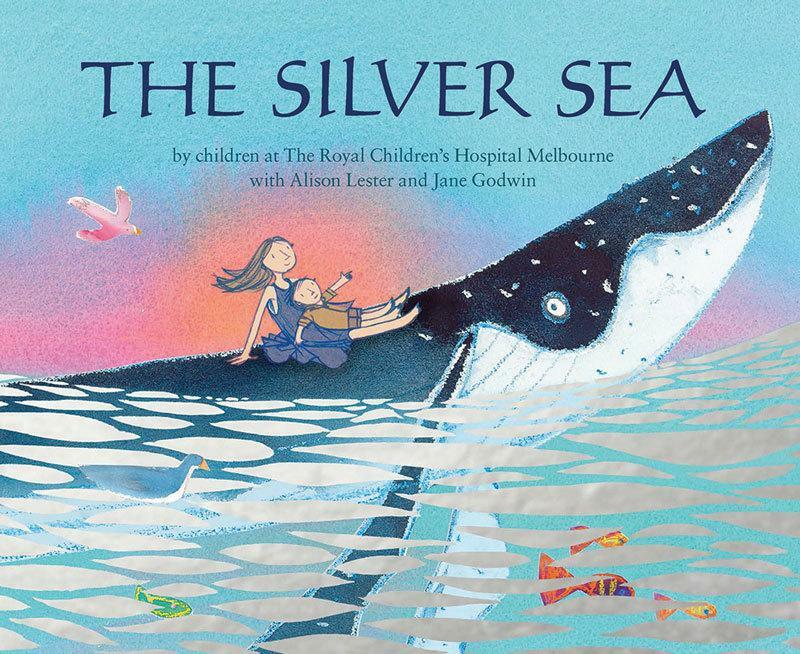 By children at The Royal Children’s Hospital Melbourne with Alison Lester and Jane Godwin. Come on I’ll hold your hand. And race on the glimmering sand. A mother and child sit aboard an enormous whale as it travels through a sea of silver. All manner of creatures join them on the journey, both before they reach the water and then as they travel through a changing ocean. Sometimes the water is deep and dark, other times bright with wonder. Sometimes the two hold each other, closely or by hand and at others they travel close but not together, all the way home. This is a beautiful picture book from the silver waves, the artwork by children at RCH and the lovely lyrical text from two masters of picture book language. A wonderful gift for a new baby, a christening, or just because it’s lovely.